Over the past week or so, the rumors surrounding coach Jim Harbaugh leaving the 49ers has swelled from a trickle to a river. 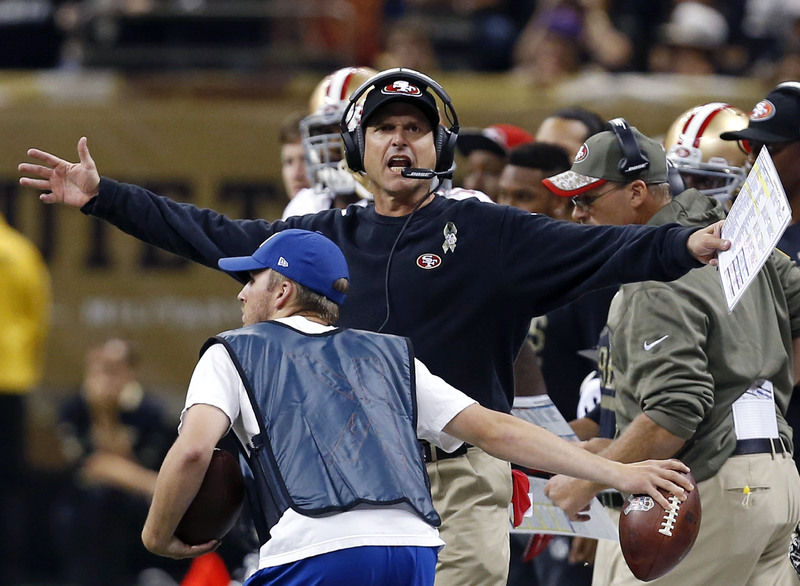 On Wednesday, it was reported that Harbaugh apparently got into a conflict with GM Trent Baalke. CSN Bay Area‘s Matt Maiocco reported that while Harbaugh and Baalke have had issues in the past, a recent butting of heads may have been the final straw. “But that changed a couple weeks ago when an undisclosed incident or series of interactions occurred that irreparably tore at the trust that must exist between a coach and general manager. (The source would not disclose the specifics of the disagreement. ),” he wrote. And former 49ers have said that Harbaugh is “loved” by his team. On Wednesday, Harbaugh–in talking about Sunday’s game against the Raiders–“spoke extensively and glowingly about Davis, and yet at his Monday press conference he shut down opportunities to talk about his current employer, 49ers CEO Jed York,” says the SF Chronicle. Colin Kaepernick has been the subject of widespread criticism recently–namely regarding some of his decision-making. But when he was asked questions about what the 49ers will do against the Raiders, he didn’t say much–likely purposefully being short. Kaepernick had a run of 18 consecutive games with a touchdown pass snapped last week against Seattle. 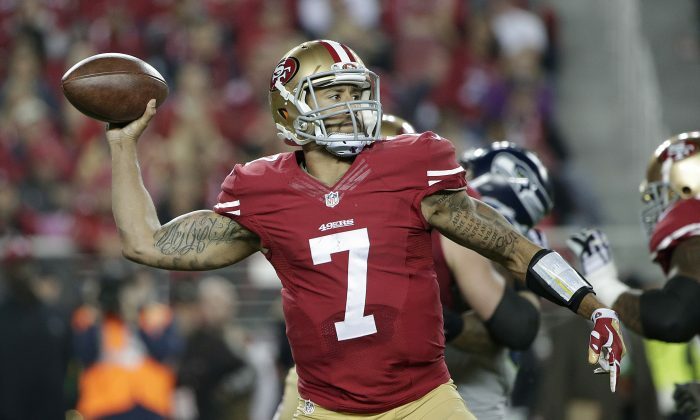 It’s imperative Kaepernick begins a different kind of streak, a winning streak. The 49ers need to win their four remaining games to keep their playoff hopes alive. In addition, they need NFC Wild Card contenders like the Dallas Cowboys and Detroit Lions to stumble in the final quarter of the regular season. “We know what we have to do,” said Kaepernick, who maintained that San Francisco’s confidence on offense has not been shaken. NFL Films’ Greg Cosell wrote a piece on Kaepernick’s problems this season. He contrasted and compared Seahawks QB Russell Wilson and Kaepernick. “Kaepernick has made many unstructured plays like this too, but a big difference is Kaepernick remains predominantly a pre-determined thrower. If that pre-determined throw is not there his tendency is to break down in the pocket, drop his eyes and look to move,” he writes on Yahoo Sports.